Who is Nelson Peltz and why should I care? Don't have time to read our last 12 stories on the Procter and Gamble proxy fight? Here's a brief explainer. Peltz is a New York hedge fund manager who controls about $3.3 billion in Procter & Gamble Co. stock and wants a seat on the board. Yes. Peltz started a proxy contest in July. If a majority of shares are voted in his favor, Peltz would become a 12th director on P&G’s board. What is a proxy contest? It’s a corporate election in which the company -- and sometimes dissident shareholders -- ask shareholders to resolve important issues facing the company. They do that by voting proxies; in this case blue for P&G, white for Peltz. We've got updates everywhere you are: Business reporter Dan Monk will be covering P&G's annual meeting live today. Follow his updates on Twitter at @DanMonk9. In addition to digital stories helping you understand what this means for P&G and Cincinnati, Dan will also be bringing you the latest updates on 9 On Your Side and will talk about the results later this week on the Hear Cincinnati podcast. Shareholders have been voting for several weeks now. The voting ends at P&G’s annual shareholder meeting on Tuesday. If the votes can be counted quickly, results will be announced soon after the meeting. If large blocks of shares are voted late, the results could take longer. Procter & Gamble is one of Cincinnati’s most important companies, with about 10,000 local employees, thousands of local shareholders and a history of civic contributions that have shaped the region. If that changes, the region’s economy would suffer. Is that going to change? That’s difficult to predict. 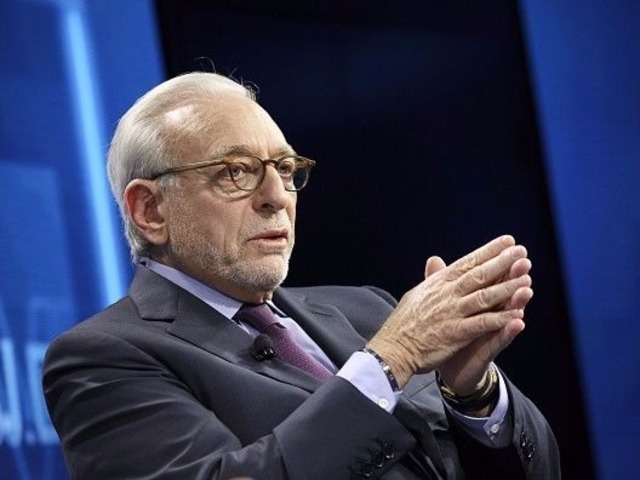 Peltz has proposed structural changes that P&G claims will harm the company and could be a first step toward breaking it up, but he has claimed from the beginning that that’s not what he wants for P&G. What does Nelson Peltz want? He wants the company to grow faster so its stock price increases. To do that, he thinks P&G needs to be better at innovation and quicker to respond to upstart rivals that steal market share from established P&G brands. P&G wants more time to pursue a strategy that took four years to develop and is starting to work. P&G sold 100 brands and reduced expenses by $10 billion so it can focus on industry-leading products that grow sustainably. How fast is P&G growing? Organic sales -- excluding brand sales and other unusual events -- grew 2 percent in the 12 months ended June 30. P&G expects growth of 2 to 3 percent in the 2018 fiscal year, which ends next June 30. Why not just let Peltz on the board? Peltz supporters think he would bring new ideas and work collaboratively with the company. P&G says he'll be disruptive and isn’t qualified.